“We’re not man hating femi-nazis,” my tour guide explained. “Actually, not having men around frees some young women to experience things they might not otherwise.” Freedom. It seems an interesting concept when talking about an all-girls school in 2012. Main Hall at Cottey College. 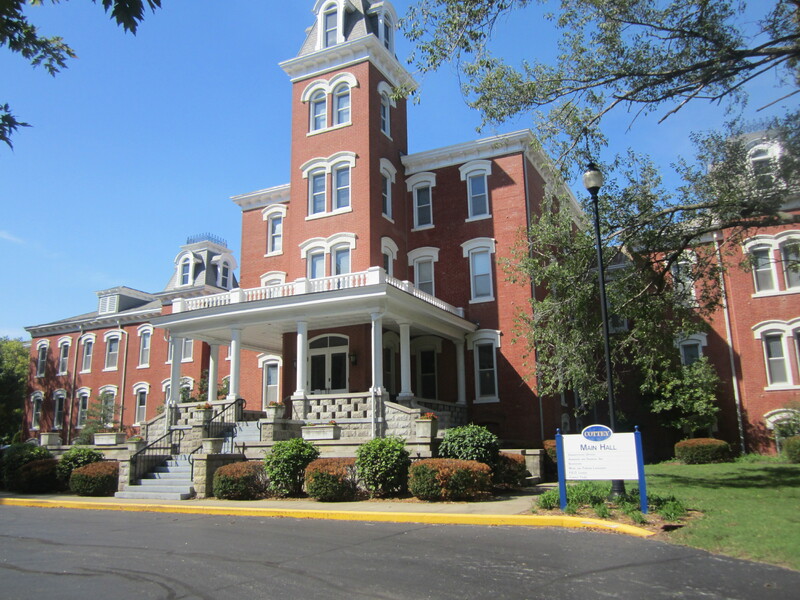 The central portion of this building is the original school structure built in 1884. I’d come to Nevada on a bright fall day, perfect for taking in some women’s history. Cottey College was a mystery to me. I assumed it sheltered women from society to instill a strict definition of femininity. I was wrong. What I found at Cottey College was different than all that. I found an institution that does not shy away from its history, but instead stays true to its founder’s vision, and is still relevant to women today. Not an easy task– learning about history is easy, finding relevance in history is much more difficult. But, let’s start at the beginning. Virginia Alice Cottey grew up in northeast Missouri, one of 12 kids. She cared for her sisters, and watched her brother, Lou, enjoy opportunities not available to her in the 1850s and 60s. 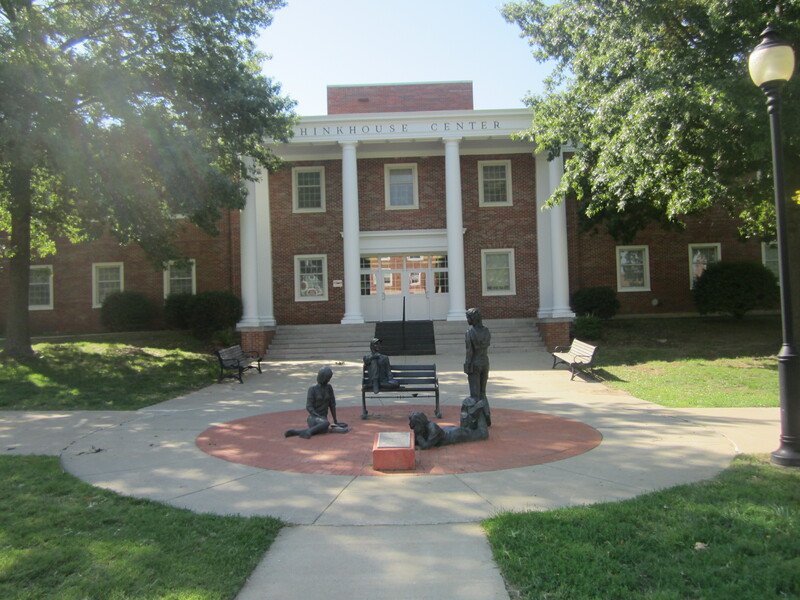 Lou attended Central College in Fayette, studied law, and served two terms as a Missouri State Senator– he became a leader. Alice couldn’t attend Central College in Fayette, study law, or serve as a Senator– she was female. 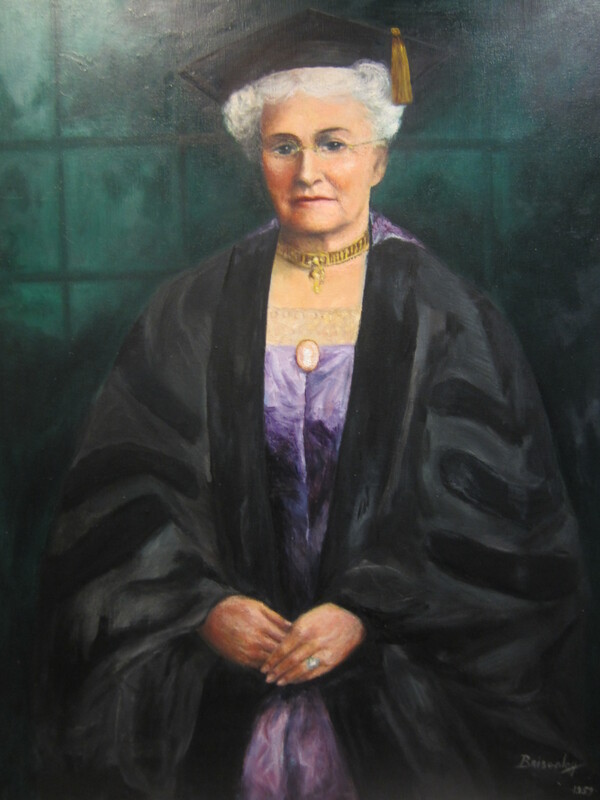 Virginia Alice Cottey’s portrait hangs in Main Hall. Alice attended the local Catholic school, St. Joseph’s Academy for Girls in Edina, for a year, and eventually began teaching in small country schools in Knox County. In 1876, just before turning thirty, she landed a teaching job at Central Female College in Lexington. Soon the idea of starting her own school hit her– a school that would give women the same education as men. Her hero was Mary Lyon, founder of Mt. Holyoke, one of the first proponents of equal education for women. Lyon kept her school free from religious affiliations, and affordable to women. Cottey wanted to build an academically firm program and was determined to stay afloat financially; a challenge, since she was not a wealthy woman. Her limited startup money (she only had $3,000 of personal savings) meant she couldn’t be too choosy about the location. Cottey College wound up in Nevada because Alice struck a deal with the mayor. The town would provide the land, and she would finance the building. The school opened in 1884, when Cottey was 36. Women’s educational opportunities were transitioning. The University of Missouri began admitting women in 1871, while Missouri State University began as a co-educational institution but not until 1905. Domesticity was a part of Cottey’s school, but, her first catalogue states, “second to none of these is thorough mental discipline. An advanced course of study with a competent corps of teachers will afford ample facilities for the development and culture of the intellectual faculties.” Cottey also proved herself financially astute. At a time when women could not vote or hold office, she ran the business and academic aspects of her school successfully, keeping the college foremost in her life. She married at age 42, but only under the condition that her school’s needs would come first– before her husband’s. Not your typical, demure Victorian lady. Artwork outside Hinkhouse Hall by an alumni. So, fast forward 128 years, and we find Cottey College still in the business of educating women. My guide tells me that the student body comes from all over the United States, and over twenty countries. We shuffle through the library and view flags from the home countries of international students, a bust of Virginia Alice Cottey, and some of her personal items. A table is set up with school archives– scrapbooks from the 1950s, newspaper articles, and a biography of Virginia Alice Cottey, out and available for students to peruse. I see a flyer for the “Virginia Alice Cottey Hour” and inquire about it. My guide explains it’s one of the secret and long-standing traditions at Cottey. Traditions like this are so deeply rooted in Cottey life, helping to form deep bonds between students, and build a lifelong sisterhood. We stroll through a chemistry lab. My guide tells me how important math and science are to Cottey students, proving that women can excel in areas traditionally seen as the men’s arena. We run into the “Spiritual Guide” on staff, and I’m eagerly introduced, and told she is on staff to address spiritual needs. Cottey is secular, but there is a chapel on campus, where all faiths are welcome. 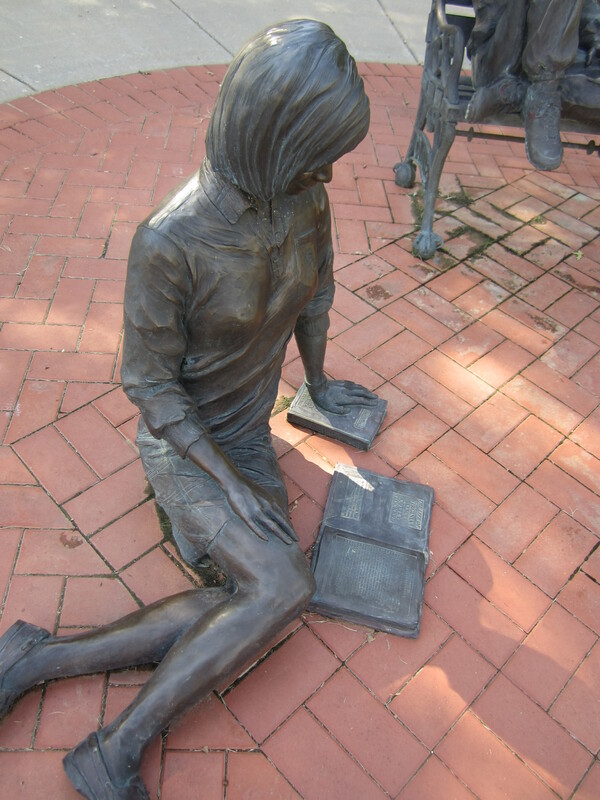 Virginia Alice Cottey’s biography is central to this depiction of Cottey students. Virginia Alice Cottey might not have thought of herself as a leader, but her legacy says otherwise. What comes across vividly at Cottey College today is the idea that women can push past the boundaries of their gender to become leaders in today’s world, not only in their local communities, but on a global scale. The school funds international trips for each second year student, to broaden their worldview. Alice also may not have envisioned her college sending young women to Italy, France, or Guatemala, but she was freeing minds in 1884 by instilling an intellectual understanding that wasn’t typical for female education. In that way, her vision for education is quite relevant today. As my guide heads off to class and I leave Cottey College, I’m inspired at how the institution has adapted to the needs of today’s young women, while still staying true to the founder’s vision. Roaming around downtown Nevada after lunch, I stumbled upon the county historical society’s “Missouri History Day”. Hundreds of area fourth graders are out in droves, being shuffled between stations about Civil War soldiers and bushwhackers, snakes, bison, and big, tough men who explored early Missouri with their big, tough guns. Stopping to watch the kids for a minute, I wondered how all of this hyper-masculine history was hitting them. Sure, snakes, bison and guns are cool, but what about the rest of our human story? It struck me as sad, especially when just a few blocks away there was a living example of the not-so-masculine side of Missouri’s history, in the form of 350 women living out Virginia Alice Cottey’s vision. I’m sure the local historical society isn’t full of woman-hating misogynists, but when it comes to the history presented to our children, we’re not hitting the mark when we only include one small part of a very complex story. Virginia Alice Cottey is buried in Deepwood Cemetery, on the southeast side of Nevada. For more about the history of Cottey, visit Cotteyphile. Virginia Alice Cottey gave Cottey College to the PEO Sisterhood in 1927. The all female organization owns and operates it today. Thank you so much for writing about Cottey. I am graduate from 2005 and Cottey truly is a unique place where women can learn about math and science, but also about themselves. I believe the school and my fellow classmates shaped the woman I am today and Cottey will always hold a very special place in my heart. Thanks so much for writing this article! Just like Megan above me, Cottey has definitely changed me. I’ve only been at Cottey for a year but I’m a completely different person than I was when I first came here. I was shy and quiet, anti-social and reserved. I was raised in a very male-dominant community and home in Kansas and being around a ton of women was very different for me. But I soon realized that I could be myself here, that I could branch out and learn just who and what I wanted to be instead of what/who I’d been raised to be. Now I’m completely different. I have the courage to stand up for myself and my beliefs, my self-esteem skyrocketed, and I’m unafraid to take whatever life throws at me because I know I can handle it. There is just too much to put here to explain just how much Cottey helped me to come out of my shell and become the young woman that I am today, but I know that I wouldn’t be who I am now if it hadn’t been for the College or the students and faculty. They are really a blessing! Great article! I am a current student at Cottey and enjoying my second year here. I’m so glad you came to visit us! And yes, Cottey is an excellent place to grow as an individual to make a difference. I too am a Cottey alum and want to personally thank you for your lovely article on our dear Cottey. My experience there was life changing…two years of my life that I will ALWAYS cherish deeply! Cottey prepared me academically to be highly successful in my next academic endeavors. It’s a place where dreams blossom like daisies in the sun! I am so happy that you had an awesome experience at Cottey! I am currently a second year here at Cottey, and I love how much this college is opening my eyes to the world. I really agree with you that grade schools need to share a more complex history of the world. But its not just in Nevada, MO its all over the United States that regular schools need share more about women’s history. Thanks for visiting our college! Thank you so much for writing about this wonderful school! As a current student I can tell that this is truly one of the most unique schools around. I love this article! Thank you so much for taking the time to write about this wonderful school! I am currently a second year student at Cottey and just like a lot of my peers Cottey has too changed me in such a short time! If every young woman could experience Cottey this world would be a better place. Cottey will and forever be in my heart! Thank you for writing about this wonderful place! I’m a Cottey graduate (66) and grateful that I chose this path. I enjoyed your article too. 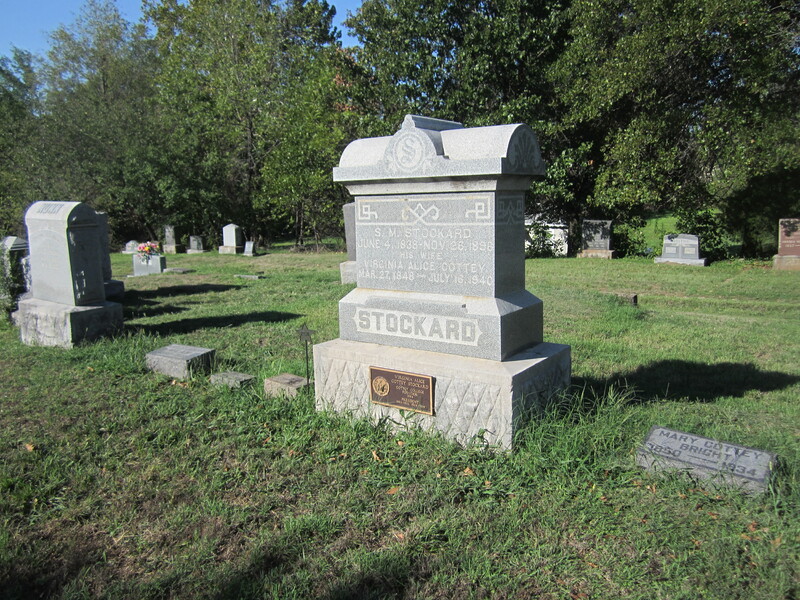 One of the pieces mentioned briefly at the end, is another example of Virginia Cottey Stockard’s vision, pursuing perpetuity for Cottey College. She was very concerned that her vision and dream not die with her, thus she approached PEO Organization (she had joined) with the idea. It’s an amazing example of a woman who was forward thinking. Thanks for writing this.